Duran Duran – “All you need is now” on CD soon – Chain D.L.K. Welcome to your Monthly Duran Duran D-Blast! 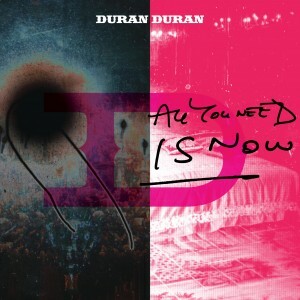 It has been an amazing time for Duran Duran since the release of ALL YOU NEED IS NOW on iTunes in December. We are excited about the extended CD, digital and vinyl releases coming at the end of March, which will include all the great music you’ve downloaded from iTunes as well as a bunch of great new tracks that will keep you dancing! Our plan is to release both a single CD with extra songs and a deluxe package that will have even more from the guys. In the US the full length record will hit stores on March 22. We will be announcing dates for the rest of the world shortly. The band is going back on the road! So far, they’ve announced their first UK arena tour in seven years; appearances at the Ultra Fest in Miami, the iTunes Festival in London, Coachella just outside LA, and the Electric Beats Festival in Berlin; and will be performing at the Pepsi/NFL Fan Jam on February 3rd. Make sure you don’t miss any tour announcements by keeping your eye on the you can click here! Want to hear and read more on the making of “All You Need is Now” ? You can click on the pink banner on the homepage OR click here! More amazing reviews for “All You Need is Now” and TV appearances for the guys including “Today Show,” “DayBreak” and “Chatty Man.” Don’t miss a thing, click here for the latest Press. We were lucky enough to get some ‘behind-the-scenes’ footage during the band’s recent photo shoot for the album release, which you can view by clicking right here!. There was a big announcement within the DD Fan Community, letting members know about the introduction of a GOLD level of membership that will be coming soon. The GOLD level will include all the cool things existing members have been getting(access to the website, exclusive content, contests, pre-sale ticketing etc), PLUS a number of exclusive “tangible” items including a special DD Member Only T-Shirt, Messenger bag, Member card and more! Make sure you check out the Duran Duran Fan Community! for the latest developments on the band’s terrific VIP opportunities!!! For the latest on the band, please stay tuned to Duranduran.com and keep up with everything you need to know about tour dates, the upcoming physical release in March, the newest media appearances, member blogs and more!